Children under the age of six months, begin to introduce solid foods and formula or breast milk is reduced. The baby is becoming more active, expends a lot more energy, but because his diet needs to be adjusted. At the age of six months the child begins a period of transition, foreshadowing an adult diet, when the menu consists of Breakfast, lunch and dinner. 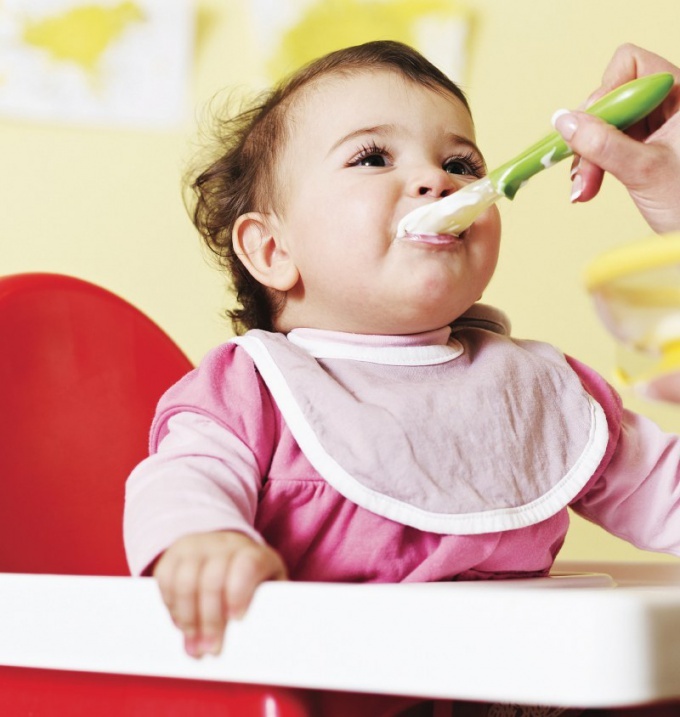 During this period, the baby should to introduce solid foods, starting with fruit or vegetable puree, dairy-free cereals. New dish should be offered in small portions is 0.25-0.5 teaspoon. Then its volume can be increased to the amount of a full lunch or Breakfast, that is up to 150 grams. After which the lure can be replaced and other meals. The lure to give better to the initiation of breastfeeding, until the baby is hungry. - 22:00 the fifth feeding: breast milk. Feeding time for baby can be an individual. However, it is worth considering that between meals should be done a period of 3.5-4 hours, to a baby accustomed to the adult diet. Kids on artificial feeding introduce complementary foods much earlier – with 4 or 5 months, depending upon the pediatrician's recommendations, as nutrients which are necessary for the normal functioning of the body, the mixture becomes insufficient. To six months the child is usually already familiar with a variety of fruit and vegetable puree, dairy-free and dairy cereals, butter, vegetable oil, egg yolk, juices, cheese and biscuits. - 22:00 the fifth feeding: milk formula, or yogurt. Gradually dairy products in the diet of a baby who is bottle-fed, replaced by fruit, meat and vegetable dishes. Feeding the children iskusstvennomu necessary to make the intervals between meals in four hours. Between meals do not give any snacks that will allow the child to remain appetite.